Plex Media Center can access any DLNA server to play back media from your media server. If you do not have a DLNA server, please refer to our HTPCBuild.com’s Plex Media Server Install Guide. 1. First we need to get Plex! Go to the Plex download page and click on the Windows version of Plex. 2. After clicking on the Window download, a new page will open. 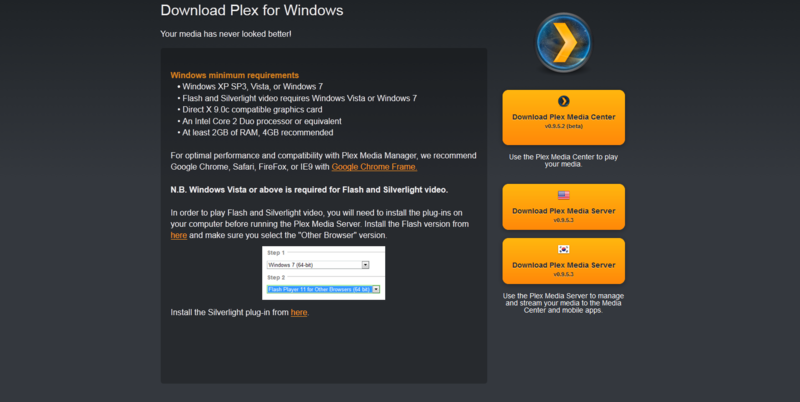 This page indicates that Plex requires Flash, Silverlight and Google Chrome Frame. 3. Let start by making sure your flash is up to date. Visit the Flash download page to get the latest Flash version. 4. Your browser should ask you to confirm the download and the page should change. Next locate the downloaded file and execute it. Windows will then ask you to confirm the execution o f the Flash installer. 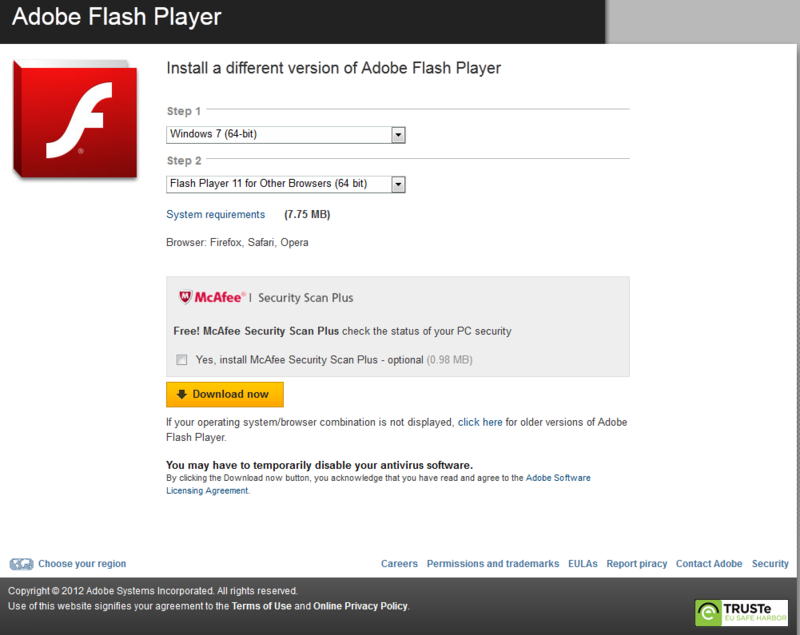 Flash will begin downloading and automatically install. 5. The Flash installer may prompt you to close your web browser, if so please close all your browser windows and click “Retry”. After the install click “Finish”. 6. 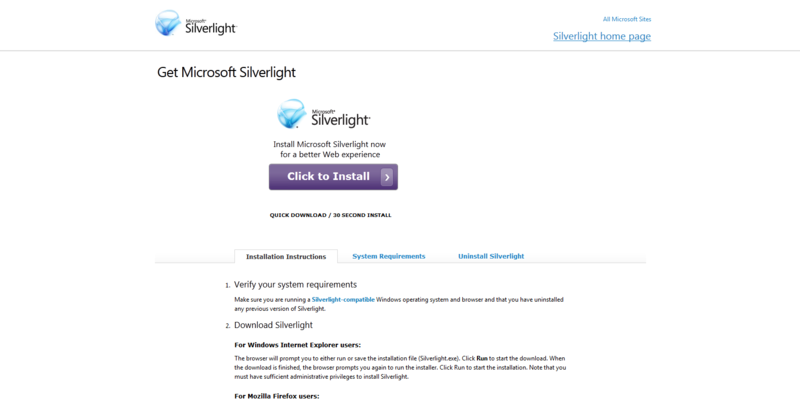 Next we need to get Silverlight install, so visit the Silverlight download page. 7. Click on the “Click to Install” button. Your browser will prompt you to confirm the download. Once downloaded, execute the Silverlight installer. Windows will then ask you to confirm the install. When the Silverlight installer is finally launched click on “Install Now”. 8. The installer will begin installing Microsoft Silverlight. 9. Next the installer will prompt you with the Microsoft Auto Update feature. I suggest you enable the Auto Update. One you have made your decision click “Next”. 10. Next the installer will prompt you that is has completed. Click “Close”. 11. Now we need to get Google Chrome Frame. Visit the Google Chrome Frame download page. 12. Click on “Get Google Chrome Frame”. A new page will load asking you to confirm the License Agreement. When ready to proceed, click “Accept and Install”. Your browser will ask you to confirm the download. 13. Once your download is complete, locate the file and execute it. Windows will ask you to confirm that you wish to execute the program. The installer will launch and begin downloading Google Chrome Frame. 14. Once the Google Chrome Frame is download and installed the installer will inform you that it is done. Click on “Close”. 15. Now we can finally install Plex Media Center. Return to the Plex Windows Download Page. Click on “Download Plex Media Center”. The latest version is v0.9.5.2. Your browser will ask you to confirm the download. 16. Once the download is complete, execute the Plex Installer. Windows will ask you to confirm the execution of the installer. Next you will be prompted with the Plex Media Center Install window. Click “Next” to continue. 17. 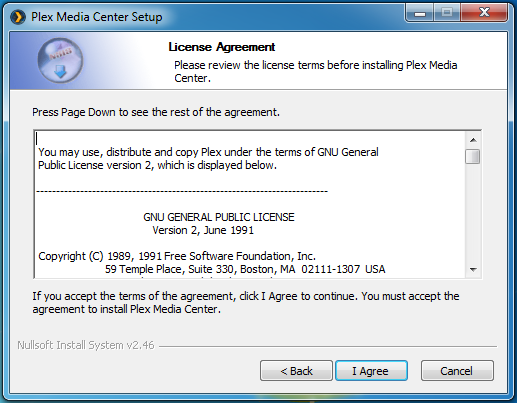 Here you will find the License Agreement.When you are ready, click “I Agree” to continue. 18. 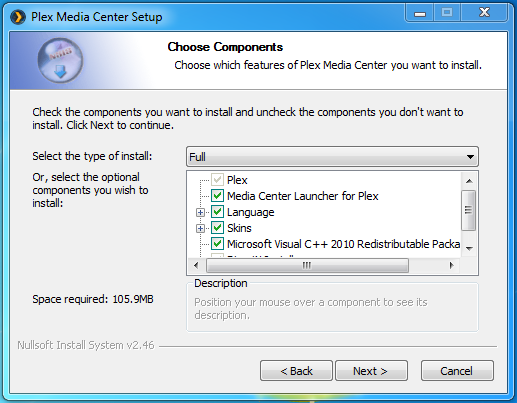 Now you will be asked to choose the installed components for Plex Media Center. I suggest the full install. Once you have completed your selection click “Next”. 19. Here you can choose the install directory for Plex Media Center. Feel free to change the install directory if you wish. When ready click “Next”. 20. Now you can pick the Start Menu folder. If you wish to make any modifications please do so then click “Next”. 21. 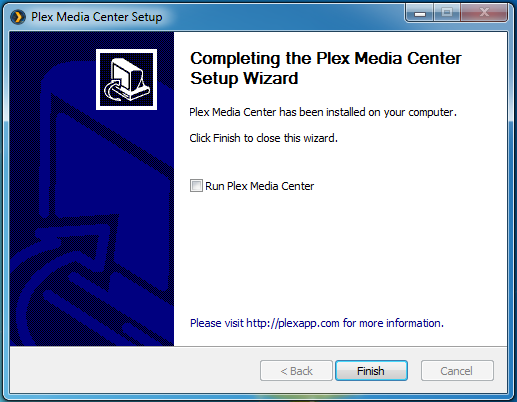 The installer should begin final extraction and install of the Plex Media Center. 22. 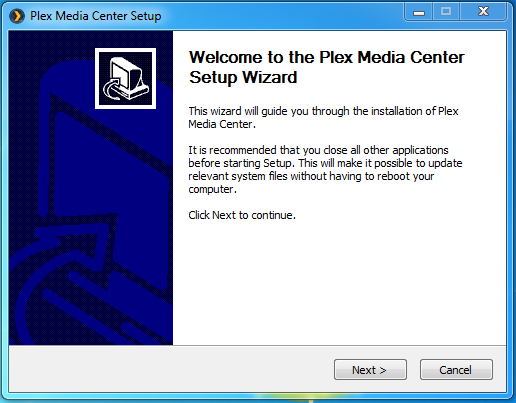 Once complete the installer should announce that Plex Media Center has been installed. 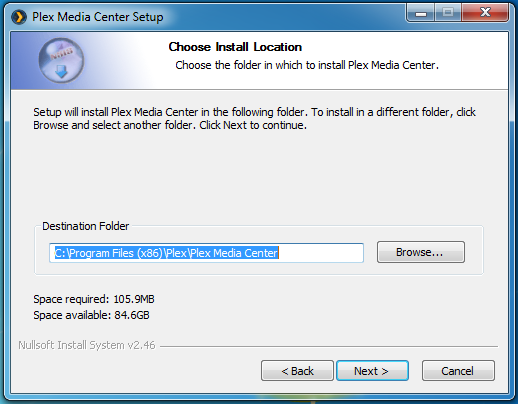 Feel free to uncheck the “Run Plex Media Center” option, if you wish to hold off on running Plex Media Center. That is it!! 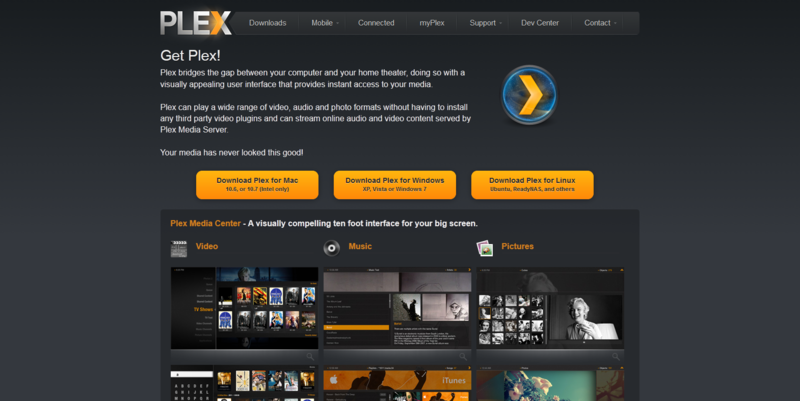 You’ve now installed Plex Media Center!! Now you’ll need to setup your Plex Media Center to access your DLNA server. Please refer to HTPCBuild.com’s Plex Media Center Configuration Guide. Check back often for more guides to help you with your HTPC build!